Efendy is not particularly large and is nicely furnished with polished wood floors. There is nothing about the premises that would give much of a hint at the type of cuisine being served but it does differ from most other establishments in that the kitchen is not hidden away. Rather, it is openly visible being only separated from the seating area by a large grill. I only saw a couple of items being cooked there but I can imagine it can be quite spectacular when many orders are being cooked at once. 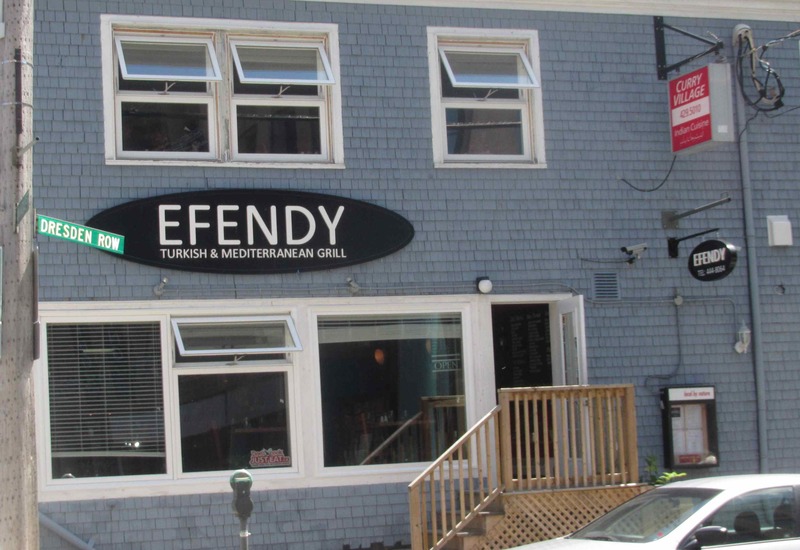 Efendy is licensed, with a pretty good selection of beverages including a Turkish beer, and Wi-Fi is also available. The waiter who served me during my visit was very pleasant and certainly attentive. Indeed, I found he hovered a little bit but, as I was the first customer to arrive and the place remained empty but for myself until I was almost ready to leave, I can put that over-attention down to a touch of boredom. Aside from that minor quibble, the service was excellent. 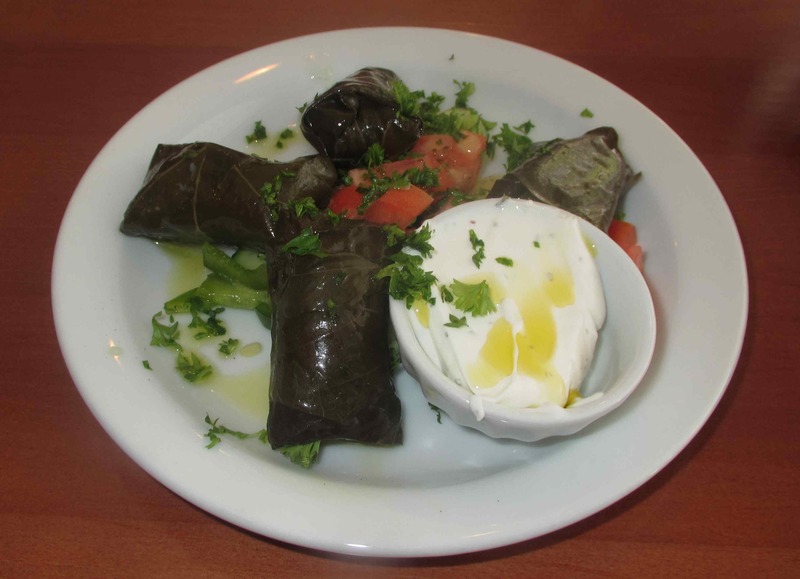 Grape Leaves – This consisted of vine leaves stuffed with rice and herbs. It is a dish that is similar to the ‘Dolmas’ you find in Greek restaurants and I rather think of them as a sort of Mediterranean sushi. The leaves themselves are mild but pleasant tasting and the rice stuffing was seasoned, I think, with oregano. The rolls were served on a very sharp vinaigrette salad of tomato, onion, cucumbers and green pepper and there was also a side of minted yoghurt. I liked this particular selection but found the yoghurt addition was overkill for the dish. Rating: 5 out of 5. Roasted red pepper – The peppers were described as being served in olive oil with and feta cheese and I was rather expecting something along the lines of an Italian Antipasto dish with large pieces of pepper and just the odd chunk of feta scattered on top. Instead, both the pepper and the cheese were quite finely chopped and mixed together so that no taste dominated. It was a really excellent dish, with lovely smoky notes from the roasted peppers infusing everything. I plan to try and reproduce this one at home. Rating: 5 out of 5. 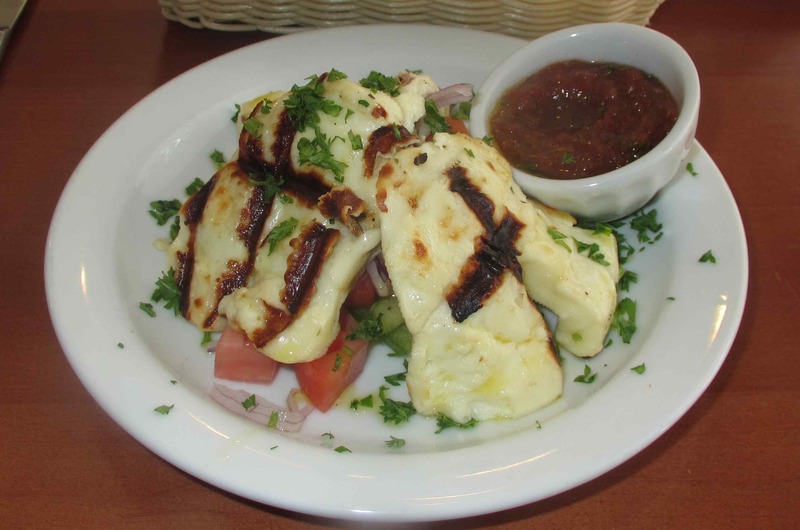 Hellumi – This grilled Cypriot Goat Cheese (often spelled ‘Halloumi‘) was a star of the show. The large, flattened pieces of cheese tore like bread and had a ‘squeaky’ mouth-texture that was somewhat like a heavily pressed tofu. The basic taste was of a very fresh salted Mozzarella, and the darkened grill marks gave it an amazing smoky richness. The cheese was served on top of a bed of the same sort of salad that came with the grape leaves, and there was also a sauce for dipping that was very like a smooth Mexican Salsa except for the nearly dominant taste of cucumber. This was a fantastic appetizer. Rating: 5 out of 5. Calamari – This fried Calamari appetizer was served with a Haydari sauce. Haydari comes as a separate item on the menu and this variety is skimmed yoghurt with mint, dill, garlic and olive. It was quite thick and very much like the dip that came alongside the Grape-leaves. 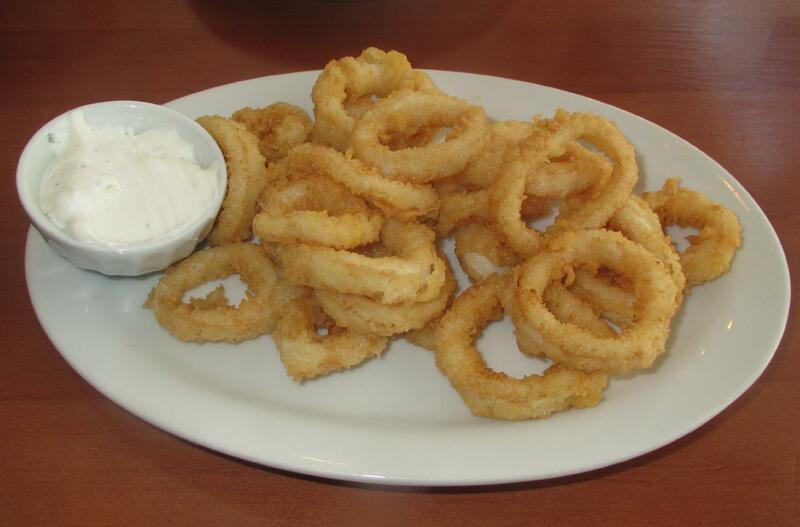 The Calamari were not very different from the usual fried rings you can get in hundreds of other restaurants, although they were particularly fresh, plump and tasty. Unfortunately, they were a little soft and limp and trying to dip them in the very thick sauce was a bit like… well, I won’t struggle for a simile. Suffice it to say that, despite a lack of the crispiness that most people expect with fried Calamari, this was also an excellent dish. Rating: 4 out of 5. My meal at Efendy was a very enjoyable experience and I am very glad to have experienced a Turkish Restaurant finally. 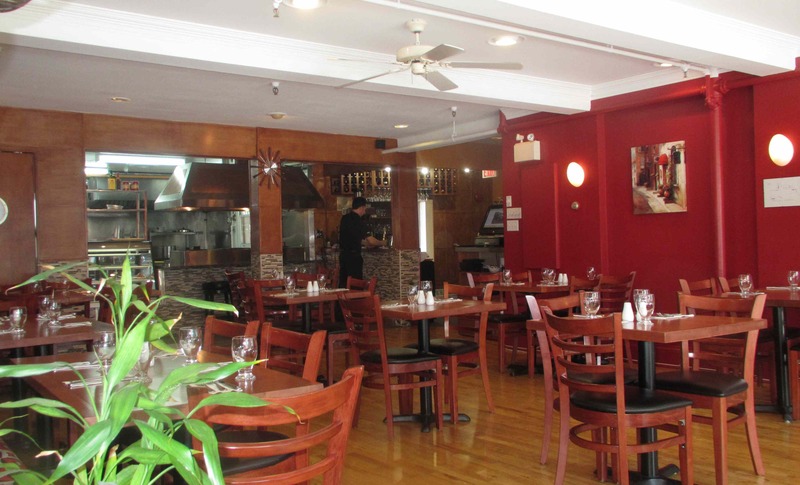 I was very impressed with the quality of the cooking and I have already recommended the place to friends. I will return if my travels permit. Rating: 5 out of 5. One thing for sure, love their generous poriton too!!! Yes… especially the cheese dish! Am glad Halifax supplied some worthwhile food at last! Am particularly fond of Eastern Med food myself and would truly like to reach thru’ the screen for that roasted pepper 🙂 ! And the haloumi dish looks gloriously sinful!! Nice and methinks unexpected experience . 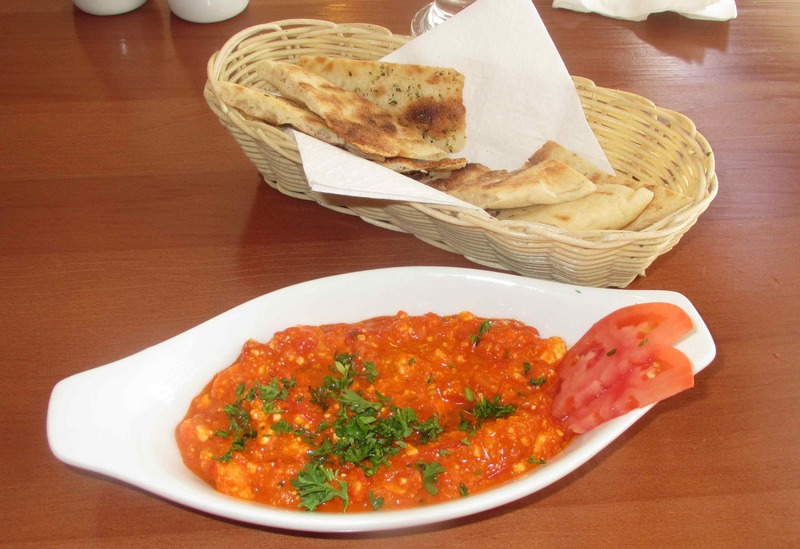 . .
From my limited experience, Greek and Turkish cuisine share a lot of dishes. I (also?) think the pepper and feta is the most interesting dish you had. There seem to be plenty of dishes almost exactly the same except the name…. and the Pepper dish was just about my favorite. I have recently prepared my own version and will have a post about it in due course. We had the lunch specials today, very modestly priced for the excellent food we were served. Thank you very much to our waiter who was attentive and respectful. Everything was very tasty but surprisingly, my favorite item on the plate was the rice, truly outstanding.